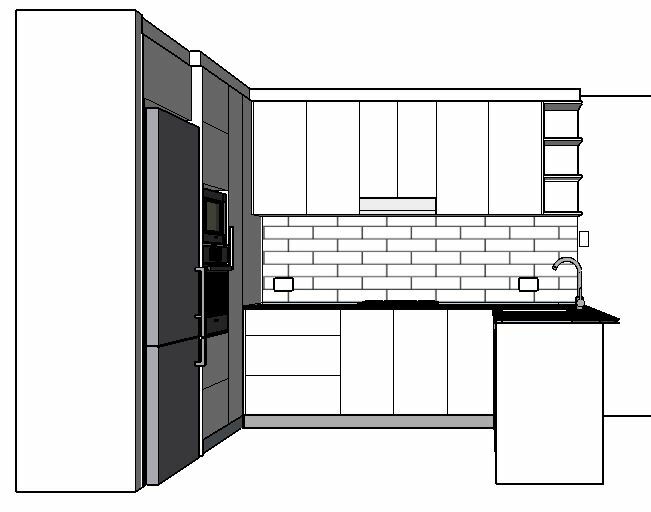 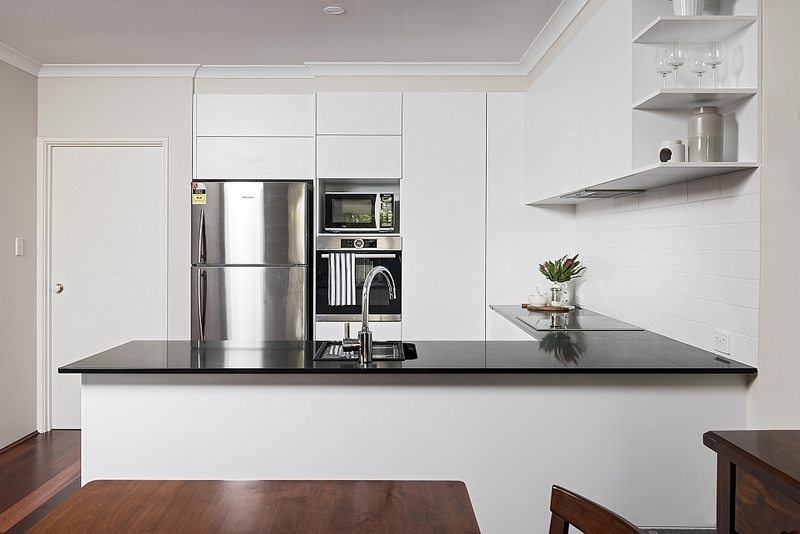 A minimalist approach to this compact kitchen gives it a sleek and uncluttered aesthetic. 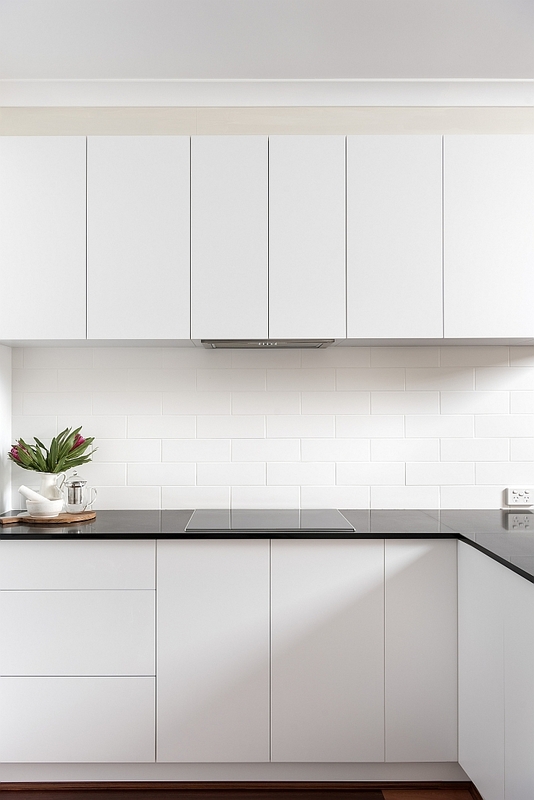 The outdated kitchen decor in this south-of-the-river apartment was dramatically enhanced with a simple, yet carefully considered, design. 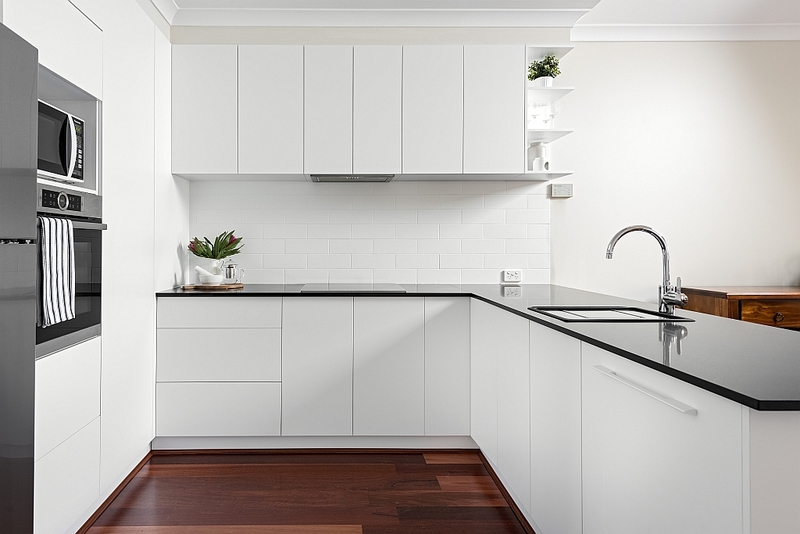 White gloss cabinetry, extended to full ceiling height, now give the space a wonderful freshness, and the absence of handles keeps the look understated. 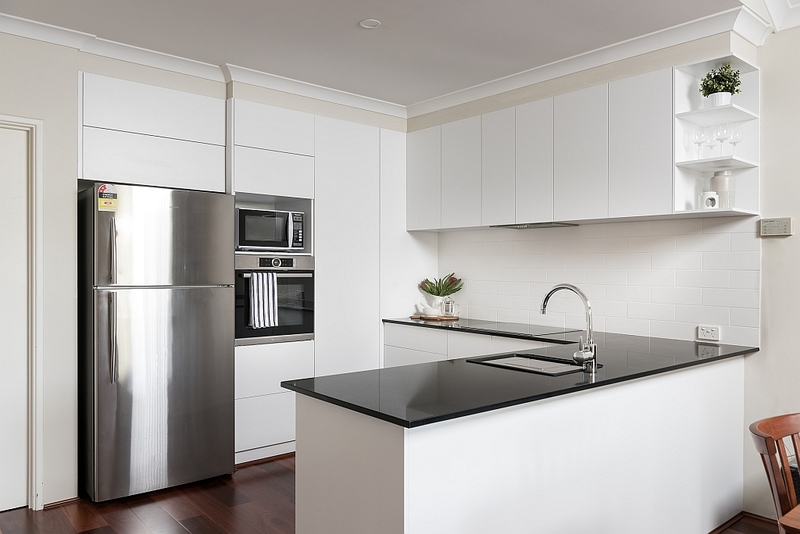 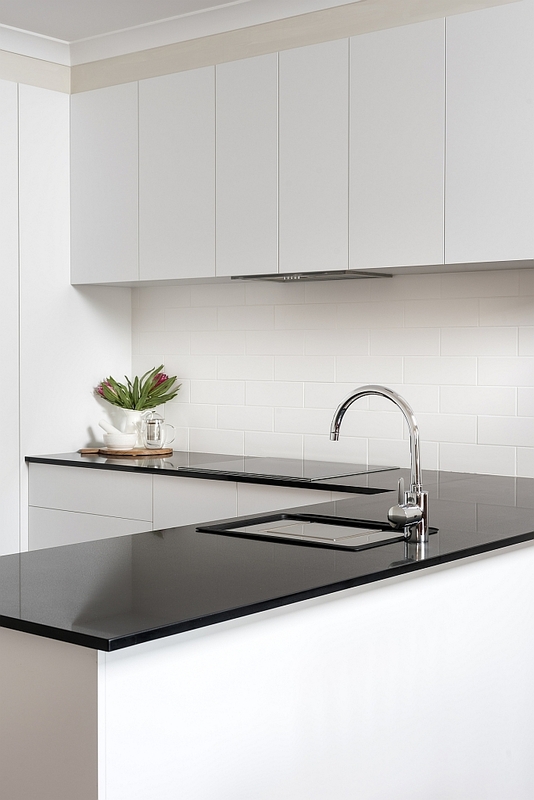 A sleek black Caesarstone benchtop is a striking contrast to the cabinetry, and connects with the appliances and dark jarrah floorboards. 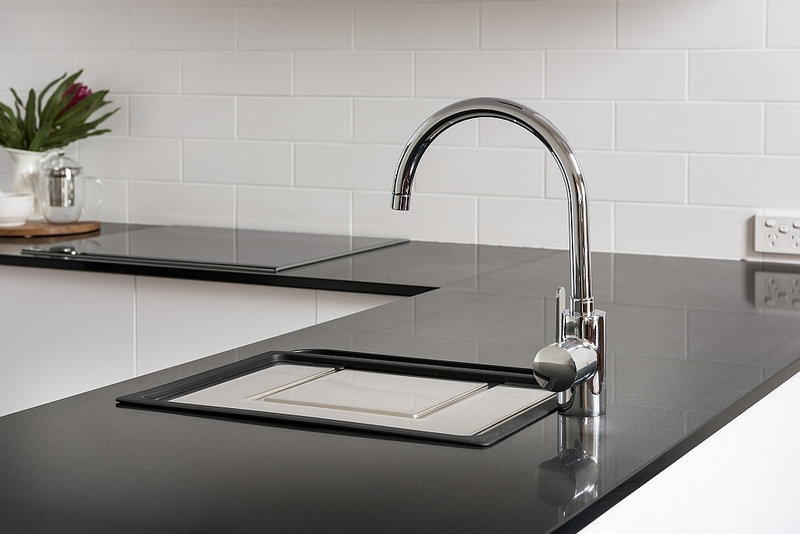 The gooseneck sink mixer is a simple design, but composed of quality materials that will keep it gleaming for years. 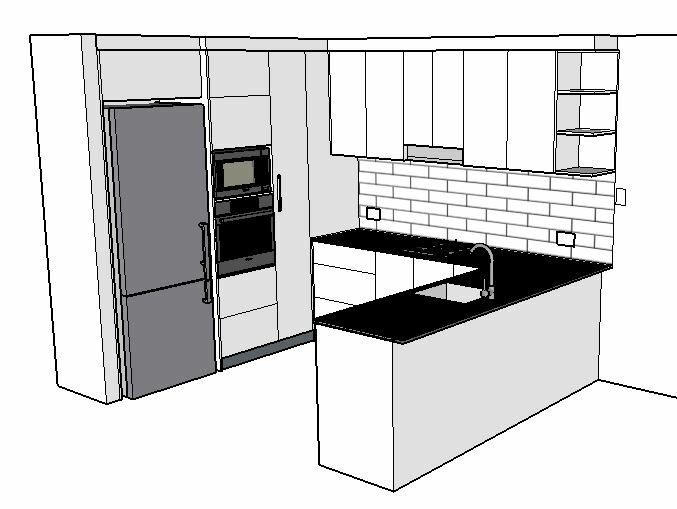 Learn more about our kitchen renovations.